Fleet Feet Sports is excited to host an Ultra Running Nutrition Seminar featuring Magdalena Lewy-Boulet. Magdalena is the female winner of the 2014 The North Face 50 Mile Championships and also the reigning champion of the Way Too Cool 50K, run right here in our backyard. At this seminar you will learn not only about nutrition and hydration, but more importantly fueling for ultra endurance events from one of the best ultra endurance athletes of our region. Be ready to ask questions and learn tips and tricks of the ultra running trade. Please RSVP below to let us know you will join us. 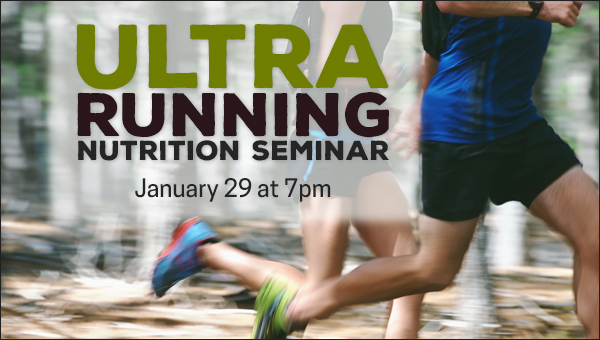 And don't forget about our Ultra Running Race Prep Seminar coming up on February 19. ﻿Thursday, January 29 at 7 p.m.